Jonathan Leeman addresses the commonly asked (and often unanswered) question of, "Why should I join a church?" in a time when many are shunning the practice of organized religion. 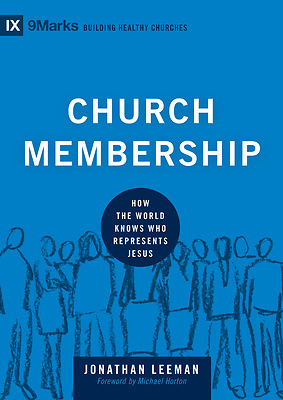 By offering a brief, straightforward explanation of what church membership is and why it's important, Leeman gives the local church its proper due and builds a case for committing to the local body. Church Membership is a useful tool for churches to distribute en masse to new and potential members of their congregation. This volume is part of the 9Marks: Building Healthy Churches series. Look for upcoming, quick-read formats of the following marks of a healthy church: expositional preaching, biblical theology, the gospel, conversion, evangelism, church discipline, discipleship and growth, and church leadership.